In terms of market capitalization, as a division of AFEX – we develop and produce dehydrated raisin tomatoes. A pioneering project in breeding, producing and developing “natural dry-raisins tomatoes” a unique patented product in the world. The project started in 2003 with studying and investigating the best area and method for developing, breeding and producing raisin tomatoes in Peru. And at the moment in Peru we produce raisin tomatoes under two main conditions: open fields and green houses. 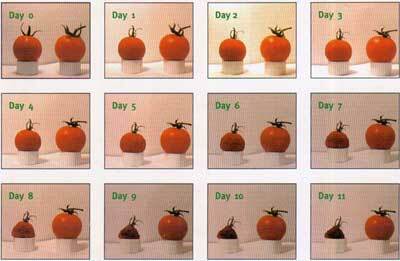 Process of dehydrating by each step. The locations are unique by climate, temperature, light and precipitation conditions. Our work reinforces our vision for high quality products and reflects our values and standards of working conditions. Our vision for the future with this project is to deliver excellent products at a reasonable price, accompanied by outstanding service. We led the effort of taking a pioneering initiative in developing, producing and breeding raisins tomatoes as a natural product without chemicals additives or preservatives. With the same enthusiasm and determination, we look forward, to a future filled with exciting and new developments, in this rapidly developing field.